The overall pass percentage for Karnataka 2nd PUC exam 2019 has risen up to 61.73 percent with the highest score secured by students belonging to Udupi district. Girls have performed better than boys. More students passed from rural area than the urban area. The rural region had 62.88% pass percentage, while urban had 61.38%. While the results have been declared by officials in a press conference the same was not available for students to download. The announcement was a bit delayed, so was the availability of links. The links showing results were activated on official websites at 12 instead of 11 am, as informed by officials earlier. Commerce students fared the best with a pass percentage of 66.39 percent. Science students have a pass percentage of 66.58 percent. Over 6 lakh students had registered for the 2nd PUC exam in 2019, while 8 lakh students had appeared for the SSLC (Class 10) exams. Candidates needed to secure an aggregate of 35 percent to clear the PUC exam. Girls have outperformed boys yet again. 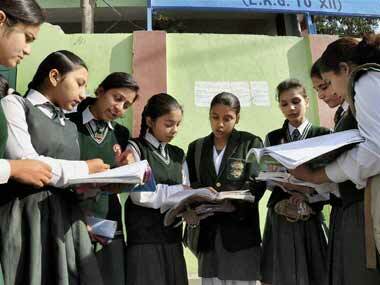 Around 68.2 percent female students who had appeared for the exam have cleared it. A total of 54,823 students got distinction in the Karnataka PUC 2019 exams. As many as 52,106 students cleared the exam in second class and 80,157 cleared it in the third division. The Karnataka Secondary Education Examination Board (KSEEM) declared the 2nd Pre-University Examination 2019 results on Monday, 15 April. Students who appeared for the 2nd PUC exams, held between 1 and 18 March, can check their results on the official websites — karresults.nic.in, kseeb.kar.nic.in and pue.kar.nic.in. The overall pass percentage this year is 61.73 percent, a rise of 2.15 percent from 2018. A candidate from Udupi emerged as the top scorer, reported News 18. Most students cleared exam in the third division. Over 6 lakh students had registered for the 2nd PUC exam in 2019, while 8 lakh students had appeared for the SSLC exam. Candidates needed to secure an aggregate of 35 percent to clear the PUC exam. 2nd PUC results 2019 LATEST updates: Udupi and Dakshin Kannada districts emerge with top pass percentage in Karnataka 2nd PUC exam. The pass percentage for this year has been 61.73% and Udupi district has emerged as the best scoring district yet again followed by Dakshin Kannada. In 2018, Udupi was the second most scoring institute. In 2017, it topped among all with 90.01 per cent followed by Dakshina Kannada, Uttara Kannada, Kodagu districts. 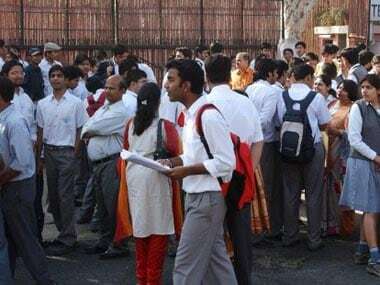 The Karnataka Secondary Education Examination Board (KSEEM) declared the 2nd Pre-University Examination 2019 results on Monday, 15 April. While the results were expected by 11 am, but were delayed by 30 minutes.